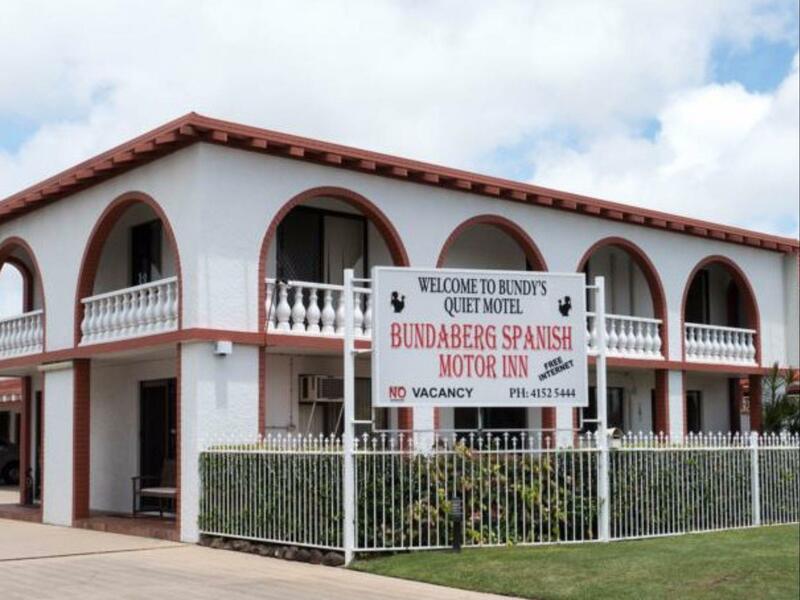 إذا كنت تبحث عن فندق بموقع جيد في باندابيرج، فقد وجدت ضالتك في Bundaberg Spanish Motor Inn . يمكن من هنا للضيوف الاستمتاع بسهولة الوصول إلى كل ما تقدمه هذه المدينة النابضة بالحياة. يوفر الفندق بفضل موقعة الجيد وصولاً سهلاً إلى أهم معالم المدينة.
. استمتع بالخدمات الراقية والضيافة التي لا مثيل لها بهذا الفندق في باندابيرج. هذه بعض الخدمات الموجودة في هذا الفندق: واي فاي مجاني في جميع الغرف, واي فاي في المناطق العامة, صف السيارات, خدمة الغرف, التوصيل من وإلى المطار. لقد جهزت هذه الإقامة الفندقية بعناية فائقة لتوفر مستوى عالي من الراحة. في بعض الغرف يجد النزيل تلفزيون بشاشة مسطحة, اتصال لاسلكي بشبكة الإنترنت (مجاني), غرف لغير المدخنين, مكيف هواء, تدفئة. يقدم الفندق خدمات رائعة كمثل حمام سباحة خارجي, حديقة لمساعدتك على الاسترخاء بعد نهار طويل من النشاط والتجوال في المدينة. مهما كانت أسبابك لزيارة باندابيرج، فإن Bundaberg Spanish Motor Inn هو الخيار الأفضل لإقامة مثيرة وممتعة. يرجى ملاحظة أن خدمة انتقالات المطار تتوفر عند الطلب. يُرجى الاتصال بالعقار مباشرةً لترتيب هذه الخدمة لك. يُرجى العلم بأن هذه الخدمة غير مضمونة. Rooms were simple but clean and everything worked well. Simon and Jenny, the owners take pride in their property and it shows. On a quiet side street that avoids the traffic and bustle of the main artery through Bubdaberg. Can't go wrong with the Spanish Motor Inn. close to everywhere. staff are very friendly. Simon gave me a lift to the airport for my day trip to Lady Elliot Island and to the car hire company the next day - this was unexpected and much appreciated. Travelled to Bundaberg for a funeral and found the hosts very pleasant and they could not do enough for us. Simon greets everyone like a friend and is always handy if something is required. 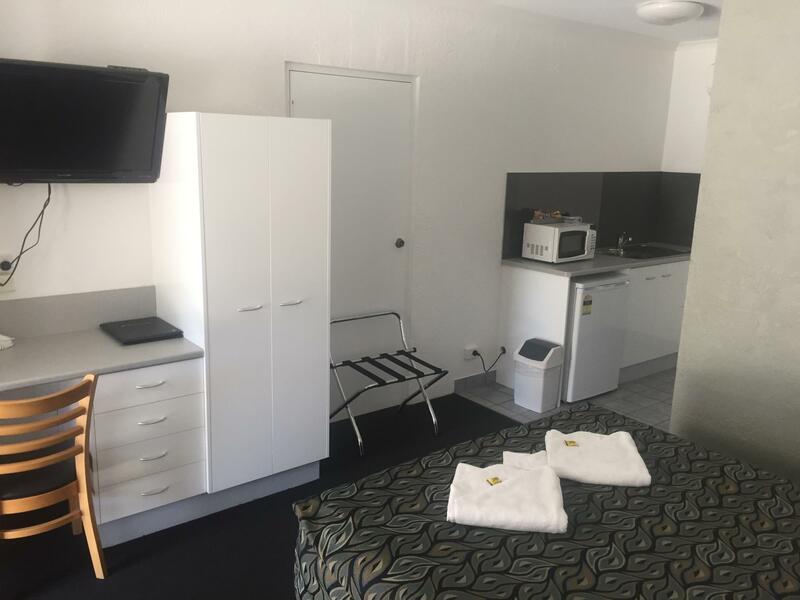 The little extra touch of washing car windscreens each morning was really appreciated.The room was clean and tidy with a little kitchenette and a comfy bed and the air condition was so quiet. We will stay again on our next visit to the ara. Quiet convenient with helpful staff. Appreciate the complementary windscreen washing service. Would highly recommend this motel. Very good; lovely room; lovely friendly and helpful couple - it set a high standard for the rest of our road trip!! Excellent as usual. Stayed there may times and will in the future. Thank you. 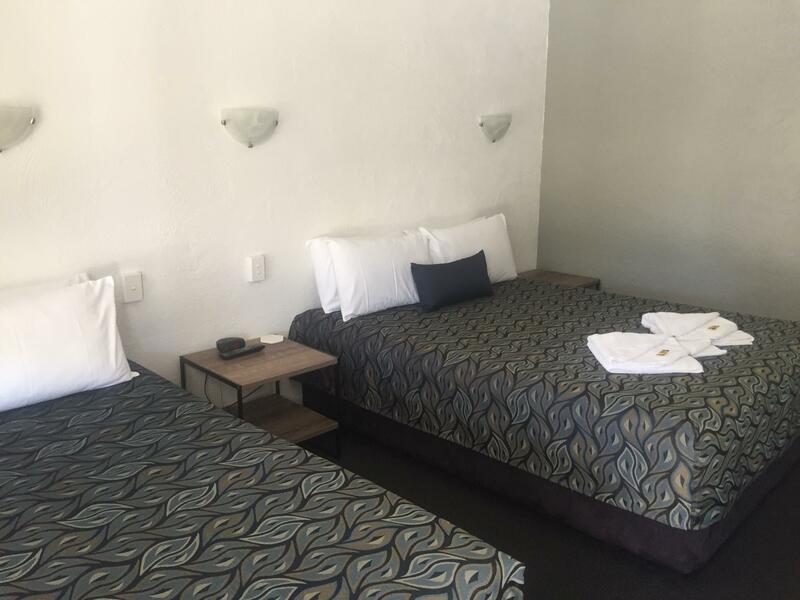 I enjoyed my stay very much, I was well looked after by the staff who even recommended great places to have dinner and drinks which helped make my stay in Bundaberg even more enjoyable. The room was well set out and very comfortable. I would definitely stay there again if I return to Bundaberg. Enjoyed staying with Russ and Wendy in their clean, well run quiet motel. Rooms are fine for one or two people and several restaurants in the area - recommend you try the Spotted Dog for a drink and food. The hotel was perfectly adequate for one night. The location was in a quiet street, within walking distance of restaurant and shops. It had all the amenities one would need and the room contained all the necessary items including hairdryer and iron. The manager was very friendly and dropped me to my meeting when I checked out. The checking in / out process was very easy. The owners are very, very friendly and attentive. The grounds and well kept, neat and quiet. Our stay was perfect. It was very relaxing for me and in a good location. The Motel and it's guests were quiet. The owners very attentive and very friendly. Great staff very friendly Great location because, Nice and quiet in a busy town Washed our windscreen without being asked to. Made sure we felt comfortable.